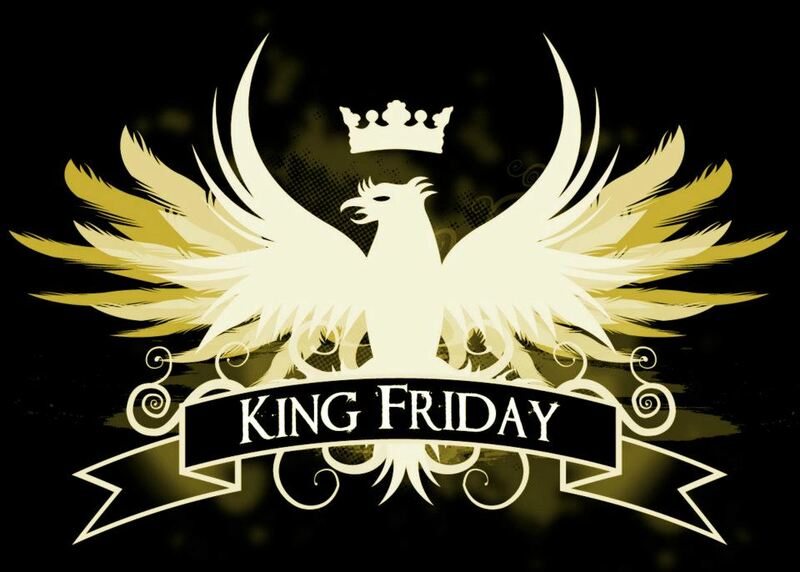 King Friday is a Progressive AOR Rock band that is working on its follow up to the highly acclaimed debut “Let The Song Begin”. Phil’s resume is extensive. His vocal ability has earned him an Emmy Award. Current projects by Phil include Unified Past, Backhand, Druckfarben and Corvus stone among others. Phil started off his professional career as the lead vocalist and frontman for TALAS, Phil was also a member of “Peter Criss’s Band”. He recorded two albums with Peter Criss. Joe is best known as bassist for the progressive rock band “Crack The Sky” best known for achieving debut album of the year in Rolling Stone Magazine. Joe was a member of Crack The Sky from 1975–1980. Joe has also worked with The B. E. Taylor Group and Wild Cherry. Joe is not just a world-class bassist, producer and engineer, but the founder of Cuppajoemusic, which produces various artists, and composes custom scores and sound design for film and TV. After relocating to New York, Joe became an engineer and studio musician, and performed with artists such as Jim Croce, David Sanborn, The Brecker Brothers, Marie Osmond, Keith Green, Clint Brown and others. As Joe’s career expanded into television, he began scoring and engineering for national clients Pepsi, Burger King, McDonald’s, Ford, Nickelodeon, Showtime, Bud Light, Corona Extra, and Walker Texas Ranger. As Sr. Engineer/Sound Designer at Post Op Editorial in Dallas Texas, Joe is one of the country’s most sought-after mixing engineers. Award winning credits in films include Monster in Law, House of D and Fire Down Below. His “Cuppajoemusic” Library and Sound Design is chosen for many national spots, including the award winning Super Bowl Tabasco’s “Mosquito”, Corona’s “Ship in a Bottle”, Nickelodeon, Showtime, Ford, McDonalds, Corona, Hyundai, and Oprah Winfrey. Corey is a nationally acclaimed drummer, engineer and producer, including sessions and touring with Joe Lynn Turner, Pat Travers, Michael Fath and Switched at Birth. Corey has numerous song writing, production and engineering credits. Producer, Keyboardist. more information soon. Vinnie formerly the keyboardist, vocalist and back-up singer for Crack the Sky, King Friday and other national acts. His credits include: Neon (featuring the legendary Tony Bennett’s sons Danny and Dae), The David Werner Band and Word of Mouth (featuring the Rayvns’ Rob Fahey). He has also toured with Electric Light Orchestra, Foreigner, Blue Oyster Cult, Aerosmith, ARS, and The Cars; and, has collaborated with Todd Rundgren and Hall and Oates. Vinnie has also featured on The Tonight Show, Good Morning America, The Tom Snyder Show, MTV and VH1. ‘Let The Song Begin’ features an assortment of friends such as Oliver Wakeman (Yes), Andy Timmons, and Carl Roa. Oliver Wakeman brought elements to the record with his signature sound. Andy Timmons from (Danger Danger), is a legend as a guitarist. Andy has been working with Olivia Newton John as music director . His next stop is in Australia to do some shows with her. His Japan tour was received with rave reviews. Carl Roa, their original guitarist, played on a few songs. Carey Zigler, a Baltimore bassist and friend, is sharing the bass with Joe Macre on “Fly Away”. Rick Witkowski and Bobby Hird from (Crack The Sky) are also guests. Rick played funk guitar on “Take a Walk” and rocked on “Black & Blue” and “Still the World”. Bobby played the solo on “Anything Goes”. Anthony Rankin plays multiple instruments on Take A Walk. Terry Minogue, who created string arrangements on early “Crack the Sky” records, was asked if he would add something to the record. He created a signature string part for “Let The Song Begin”. B. E. Taylor appears on Anything Goes. Chic DiCiccio played saxes on “Take a Walk”. Rob Parrissi, “Play That Funky Music” added guitar on “Take a Walk”. Don Schloss, Keys; Dino Giovannone , guitar; Ashton Hart, guitar; Zach Davis, guitar all contributed by adding performances to the record.